The Pound Sterling to Euro (GBP/EUR) exchange rate came under fresh pressure as January’s UK services PMI fell significantly short of expectations. In another blow to the outlook of the UK economy the headline index dropped from 51.2 to just 50.1, a state of virtual stagnation. 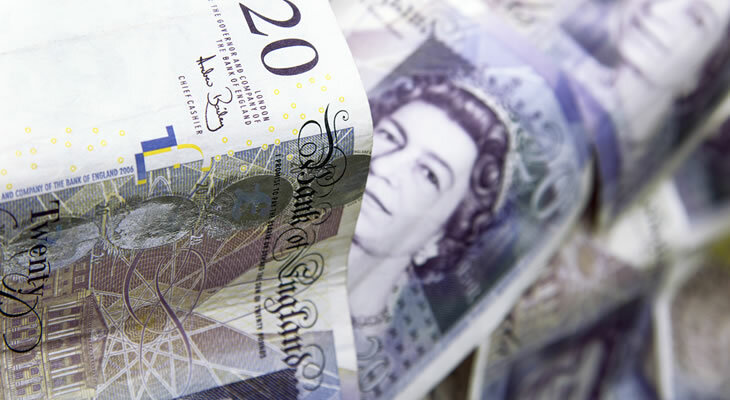 Following on from the similarly underwhelming manufacturing and construction PMIs this gave investors fresh incentive to sell out of Pound Sterling (GBP) on Tuesday morning. All in all, the slowdown in January’s raft of UK PMIs raises the risk of a weaker first quarter gross domestic product reading. However, demand for the Euro (EUR) also diminished in the wake of weak Italian and French services PMIs. As the Italian service sector unexpectedly fell back into a state of contraction in January, with the PMI dropping from 50.5 to 49.7, the risks of a sustained period of recession rose. After two consecutive quarters of economic contraction Italy started the year on a weaker footing, with the chances of any imminent rebound in economic momentum looking slim. This helped to limit the downside pressure on the GBP/EUR exchange rate, with support for the single currency generally lacking in the wake of the disappointing data. All in all, the weak PMIs suggest that the Eurozone economy is likely to remain under pressure in 2019, potentially falling short of the European Central Bank’s (ECB) growth forecasts. As the case for an ECB interest rate hike continues to weaken the Euro may struggle to find a rallying point in the near term. The GBP/EUR exchange rate may struggle to hold onto a positive footing as anticipation mounts ahead of Thursday’s Bank of England (BoE) policy announcement, though. While no change in interest rates is anticipated at this stage the tone of the accompanying meeting minutes could still put pressure on the Pound. Signs that policymakers are taking an increasingly cautious stance, reducing the odds of an interest rate hike, could leave GBP exchange rates on a fresh downtrend. If the quarterly Inflation Report also paints a less positive picture of the economic outlook this is likely to weigh heavily on the GBP/EUR exchange rate. As long as Brexit-based uncertainty continues to loom large over the UK economy, however, the prospect of a BoE interest rate hike remains muted at best. Without signs of progress towards an agreeable Brexit deal the Pound looks set to remain on a generally weaker footing against the Euro.